BabyGym runs in 6 weekly courses, and payment for each course is due in advance. The cost of the course is calculated based on a rate per class. Bouncing, spinning, rolling - your child is already a natural born gymnast. 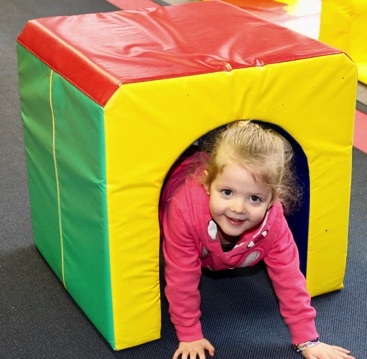 So if you want to help them develop their physical skills, what better place to start? BabyGym teaches your child important skills like balance and co-ordination. With expert supervision in a safe environment. Its a great way for them to have fun and lay the foundations of a healthy, active lifestyle. PSG also charge an annual PSG Membership Fee. This fee helps pay for the running costs of the club, such as supporting our coaches with their education, general administration, replacing equipment and general maintenance. What are the benefits of the new GymLaunch program? Each colour THEMED week also places a different emphasis on the fundamental gymnastics skills such as rolls, handstands, cartwheels, vaulting and rebound. As well as learning these 'traditional' gymnastics skills, the new BabyGym structure will enhance confidence, balance, co-ordination, motor skills, strength and flexibility. Parents/guardians are expected to stay at the BabyGym sessions. Please note parents/guardians may only assist their own children. PSG BabyGym is registered to BG Block Insurance Scheme (BRS). 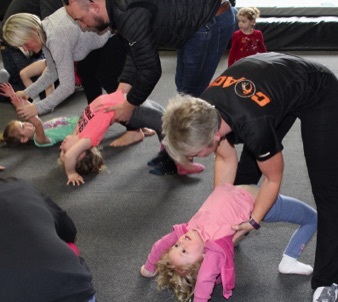 This ensures the safety of the participant with an extended insurance policy covering transient, non-BG members taking part in gymnastics classes, sessions and programmes carried out in a BG recognised environment. BRS is perfect for short-term participation such as holiday clubs, term programmes and activities that sit outside of traditional BG membership activities. BG registered Clubs and Coaches participating in BRS can be confident that all their gymnastic activities are covered by public liability insurance.